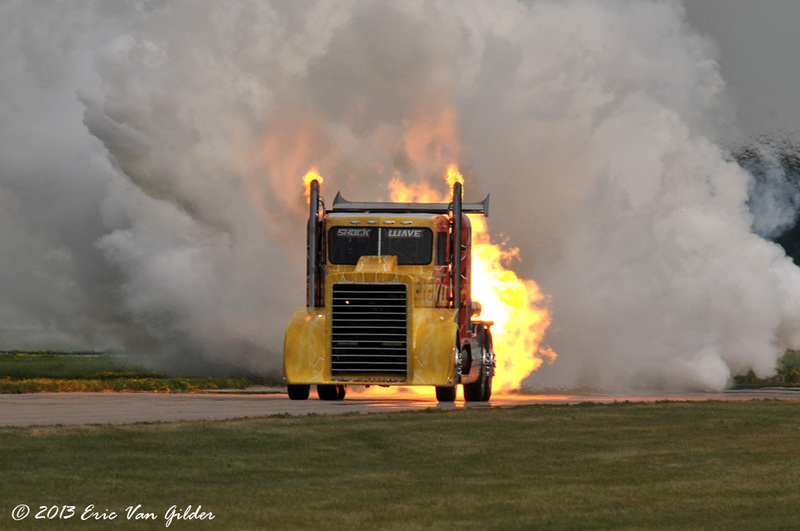 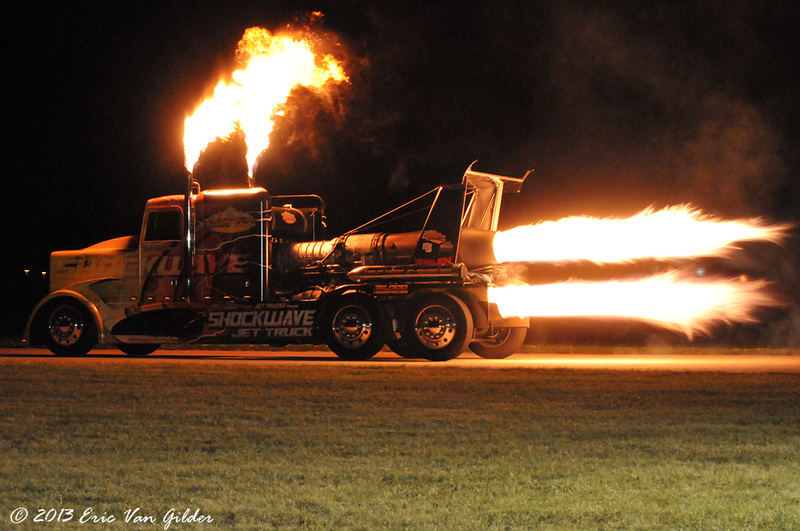 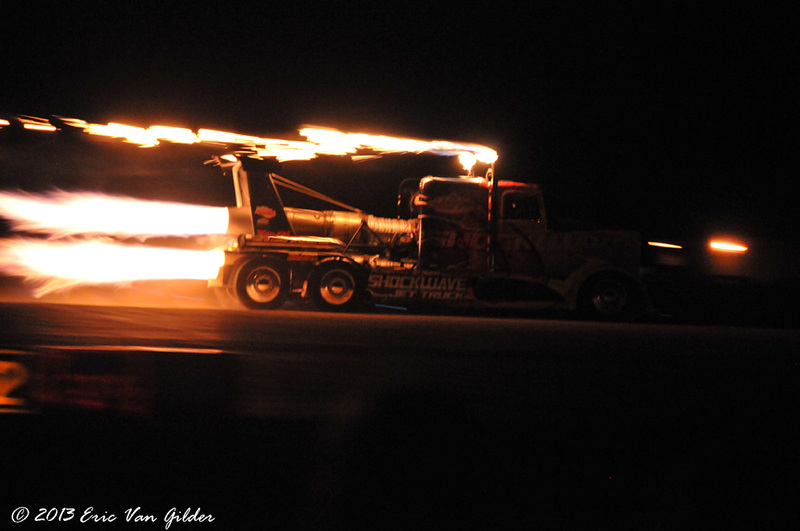 The Shockwave jet truck was created in 1984 and has been trilling audiences every since. 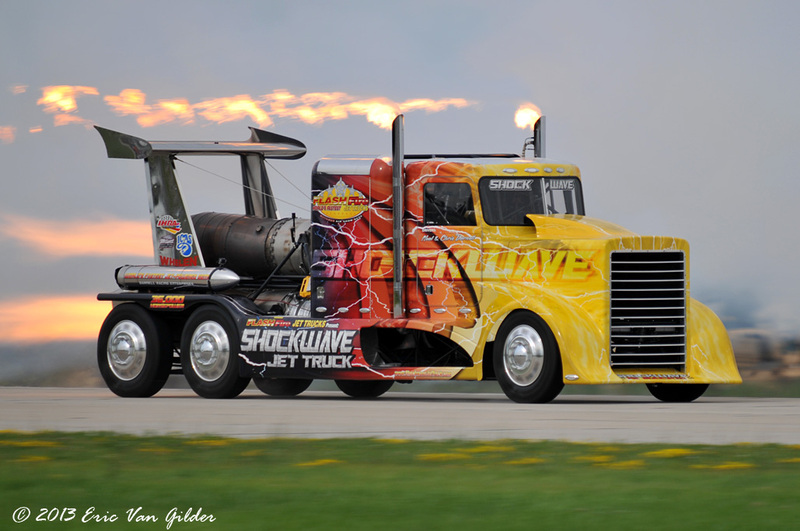 Neal Darnell has been driving Shockwave for many years and now, his son, Chris, is also driving Shockwave. 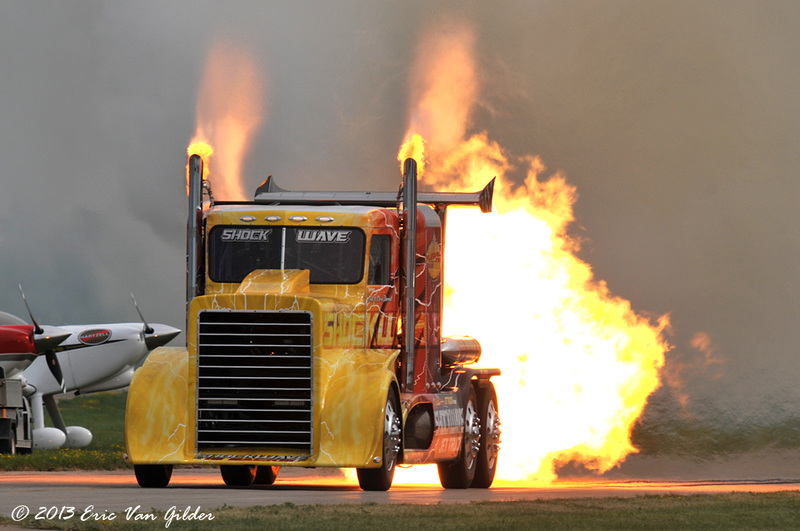 Chris first rode in Shockwave at the age of 7. 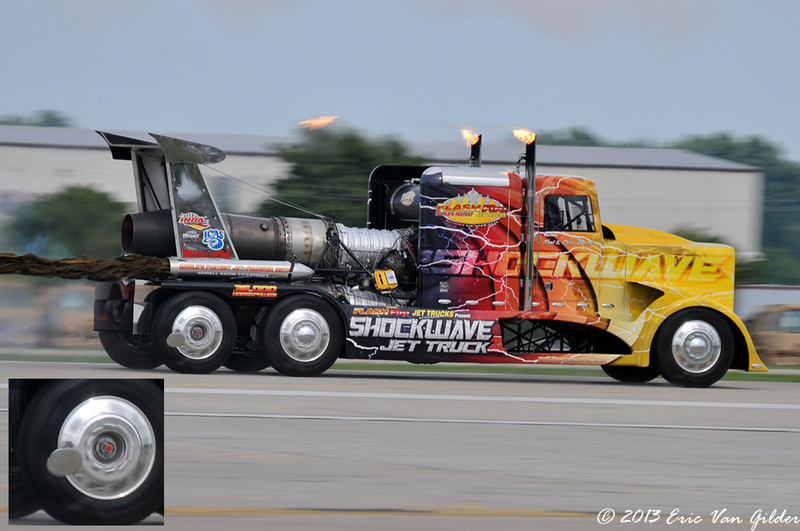 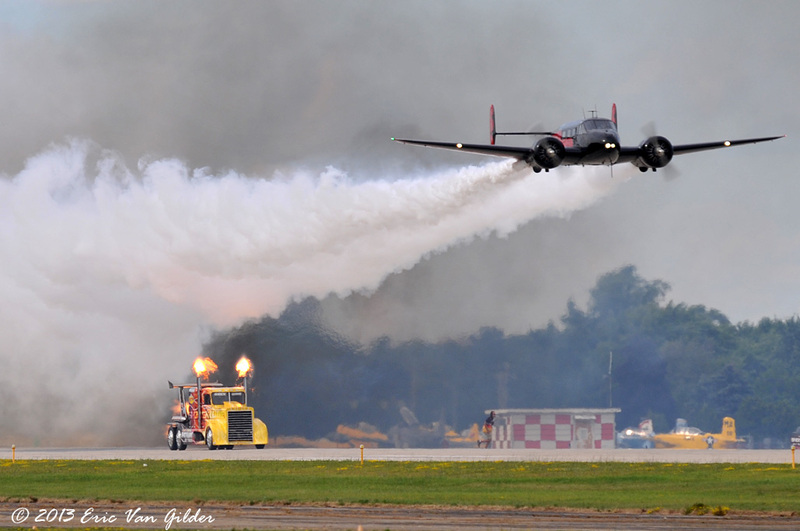 Shockwave is powered by three Pratt & Whitney J34-48 jet engines. 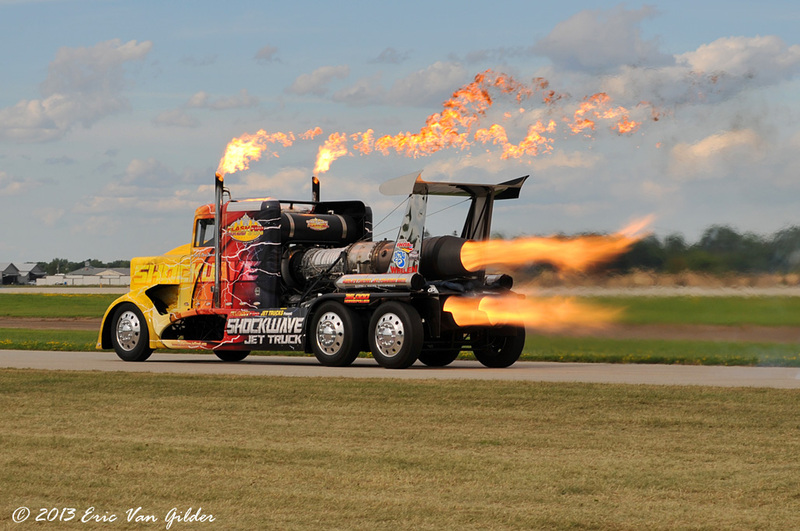 It holds the speed record for a jet-powered full sized trucks at 376 MPH.